Monkey Huggers: Guess the colour! Make a guess..... and win! 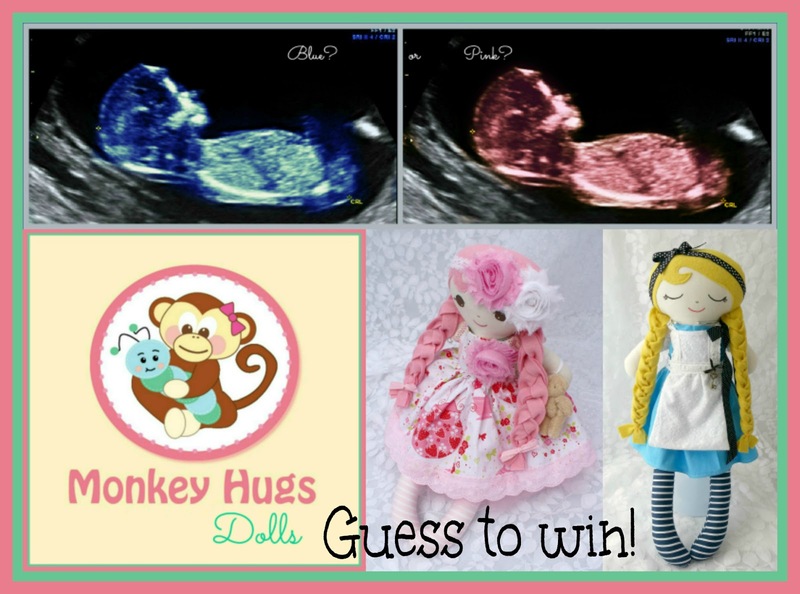 I'll be finding out what colour my new bub will be in the next couple of weeks, and thought, what better way to share the news than to have a little competition? 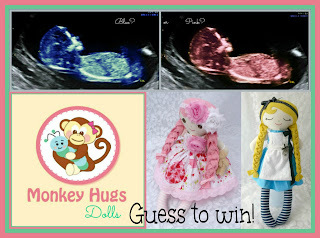 So, if you would like the chance to WIN one of my large dolls (being made at the moment - pics to come!) with postage (within Australia) INCLUDED just follow the rafflecopter directions below. Simple! Competition opens 9am Tuesday 5th of February 2013 and closes 12am on Friday 22nd of February 2013. The winner will be announce on Sunday 24th of February 2013.